buy lasix in us Sorry, this product is unavailable. Please choose a different combination. 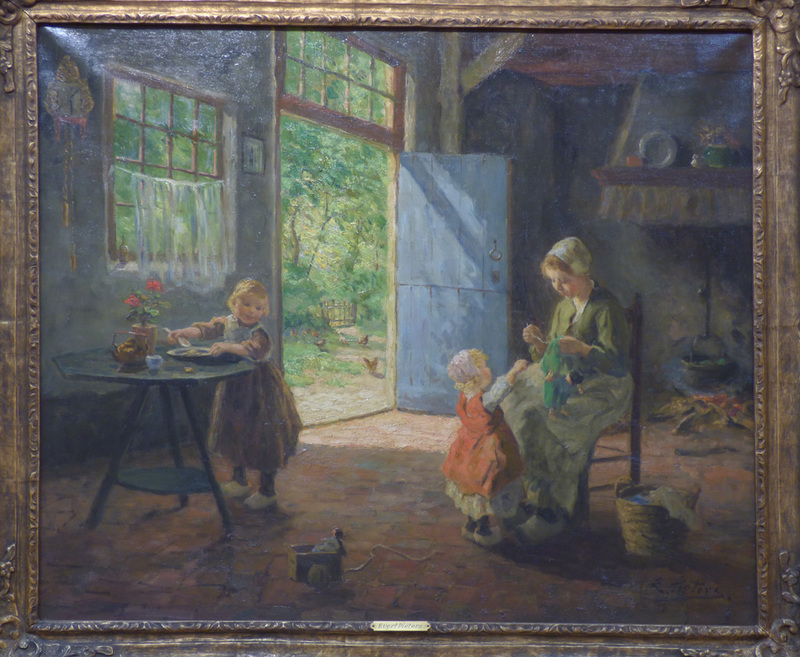 Evert Pieters was born December 11, 1856 in Amsterdam. He was a painter of genre scenes, interiors, landscapes and seascapes and was also a talented draftsman and engraver. Pieters studied painting at the Academy of Amsterdam under Theodoor Verstraete, a Barbizon painter influenced by Jean Baptiste Camille Corot and Jean Francois Millet. Pieters later attended the Antwerp Academy of Fine Art where he studied under Charles Verlat. Verlat was a disciplined academic painter who favored historical genre scenes. In 1886 Pieters left Antwerp for Blaricum, then in 1896 went to Paris. At the onset of World War I, Pieters left Paris for London and Scotland. He eventually settled in Laren in 1917. Pieters exhibited in the Salon des Artistes Français in Paris and the Royal Scottish Academy in Edinburgh. He received a bronze medal for painting in the 1896 World Exposition, a silver medal in the 1900 World Exposition and a gold medal at the Salon de Champs Elysées. 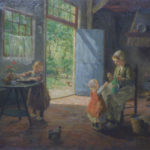 He exhibited in the 1910 exhibition in Milwaukee called "The Greatest Dutch Painters". Pieters was honored for his work with appointments to the the Pulchri Studio at The Hague, the Academy of Antwerp and the Arti et Amicitiae in Amsterdam. 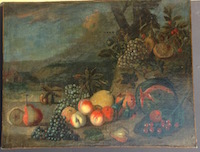 Evert Pieters is represented in museums in Anvers, Barcelona, LaHaye and Toledo. His paintings have sold in New York, London, Brussels, Los Angeles, San Francisco, Chicago, Amsterdam and Montreal. 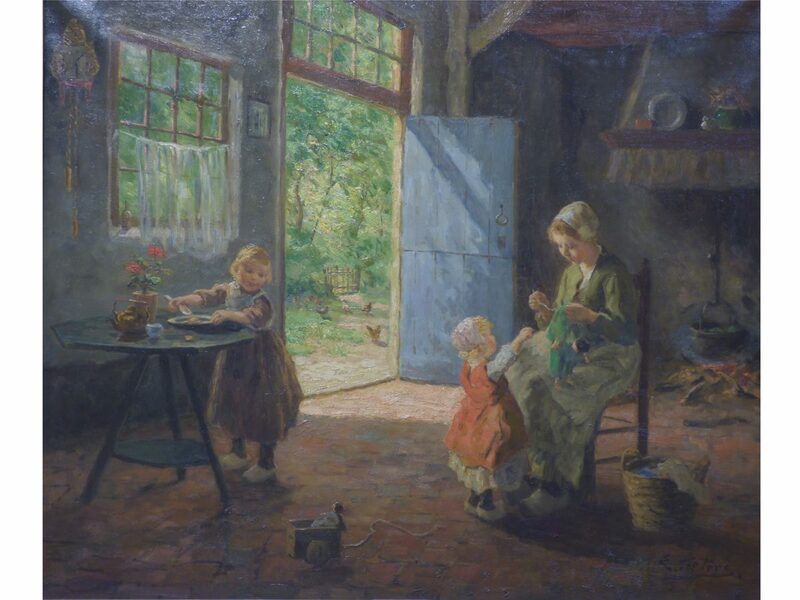 Pieters died February 17, 1932.